Candidates are requested to check their education qualification required for various Tamilnadu Secretariat job opportunities. 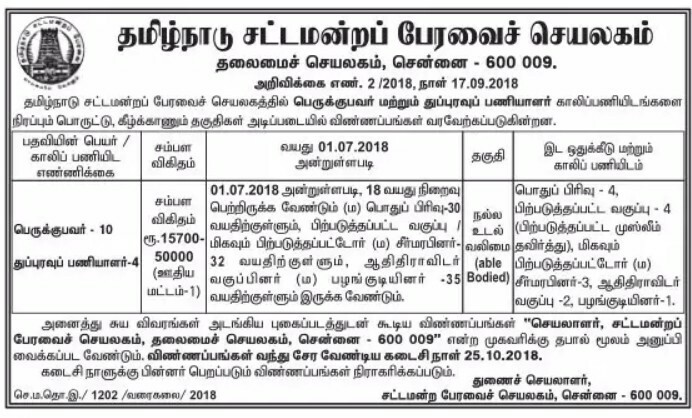 As per the latest Tamilnadu Secretariat Notification 2018, there is no application fees to apply this 14 Sanitation Workers job vacancy. So The candidates go for another step. Tamilnadu Secretariat may follow the following process to select the candidates.